We are very proud to have been chosen as one of six Westminster-based firms to be celebrated for their efforts to make Westminster a better place to live, work and visit. 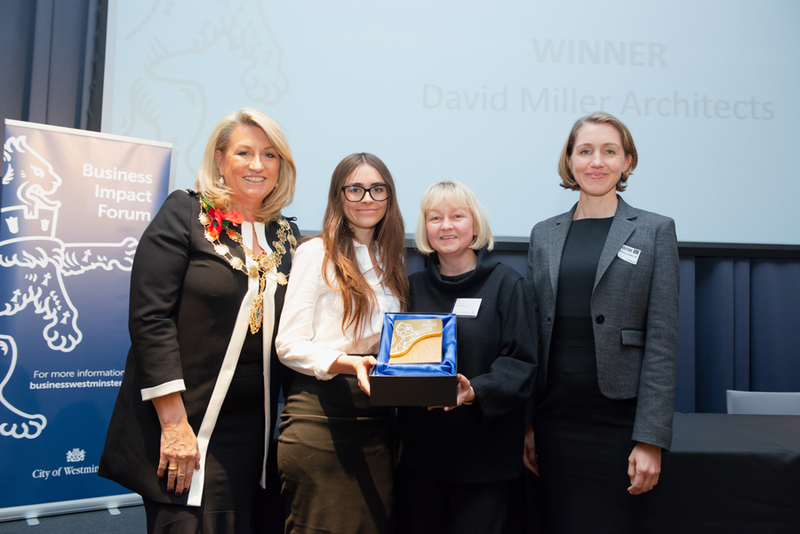 The Westminster Lion awards were created by Westminster City Council in 2017 to recognise businesses and organisations that practice outstanding local corporate social responsibility, making a demonstrable impact on communities and the environment in the city. The other winners were Capital Arches Group, Grosvenor Britain and Ireland, Willmott Dixon, Baker Street Quarter Partnership and Odelay Films and we were presented with Westminster Lion awards by Lord Mayor of Westminster, Lindsey Hall, and Deputy Leader, Cllr David Harvey, at a ceremony at King’s College London on the 31st of October. Join our team at DMA! Put a Real Face to the Name at MIPIM!